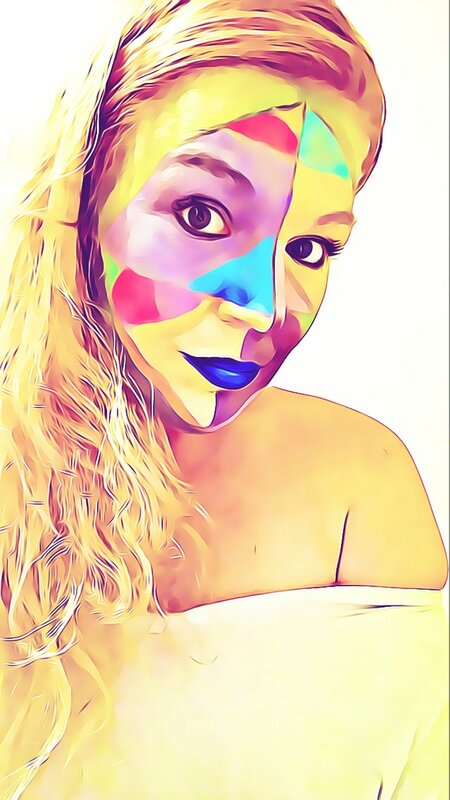 They have an awesome Cartoonize editing tool that looks so cool with the pictures I got yesterday after my 13 year old did my make up with lots of color and shape. Here is one of those edits. What you guys think? This actually looks quite good, almost like skillfull ink-drawing or digital painting! I am going to check that Befunky site! def its pretty cool. they have a lot of free tools you can use. Today I went ahead and paid for the full access which is like 5 bucks a month or like 35 bucks for a full year. Feel like they got some really great editing options and effecting tools. Very good editing, of course the work your daughter did was very good, thanks to that work she got this great result, Congratulations !! A good photo editing and has a beautiful image. I like your post. I think you and your daughter are delightful creative spirits.